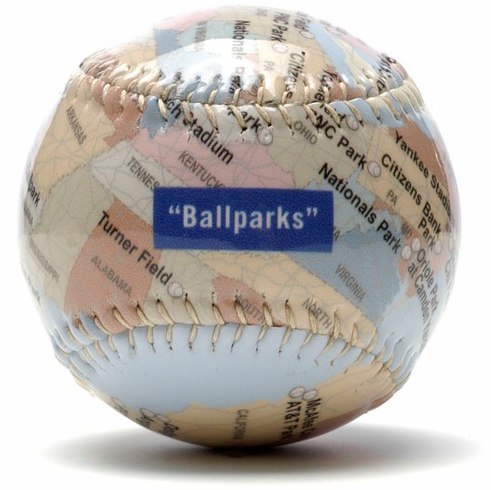 These handmade, standard baseballs feature baseball stadiums on a map all around. Wrap around gloss finish. Each baseball comes in clear packaging. See photos for stadiums included on these baseballs.